This side dish was a part of our Christmas dinner. For Christmas, my family has steak, potatoes, stuffing and a vegetable. I was in charge of the sides this year. This recipe looked amazing. And lets be honest, who doesn't like bacon and a little sugar with their veggies? The dish was easy to make and was as good as it looks. It's a perfect side dish for the holidays. Enjoy! In a large skillet, fry the bacon over medium heat until done (but not quite crisp). Drain off grease and add butter and brown sugar. Cook, stirring occasionally, over medium heat until the brown sugar has dissolved. Place the green beans in a pot and fill with about 1 inch of water. Bring water to a boil and then place the lid on the pot. Steam the beans over medium heat until cooked through, about 5-8 minutes. 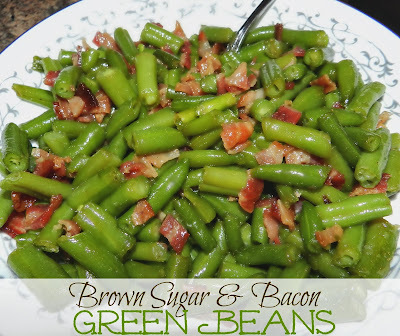 Drain the water from the beans, season with garlic salt, and stir in the sugar and bacon mixture. Serve immediately. If the brown sugar mixture starts to go hard, you can quickly reheat it before pouring it over your beans. I always try to plan out all of my recipes for Christmas a few weeks in advance. I like to have a list of the things we're going to make and bake for Christmas Eve and Christmas Day. After that, a grocery list is made. This year, due to traveling I wasn't on top of my lists. Thankfully, I was able to throw together a menu and list this past Monday thanks to Pinterest. I went through my Breakfast, Christmas, Appetizer and Drink boards and made my menu. I have a handful of tasty recipes to share with you over the next few weeks. I'm happy to report that all of the recipes I chose for the holiday were a success. The first one I've decided to share was the Christmas breakfast recipe. My dad always makes bacon and eggs. 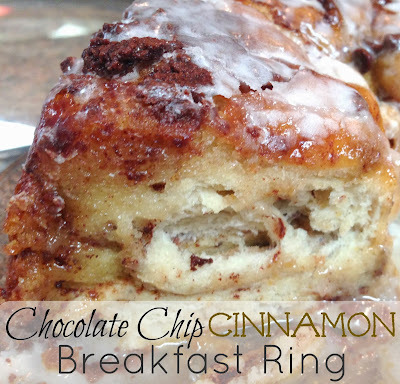 I decided this breakfast ring would be the perfect final touch for the meal. 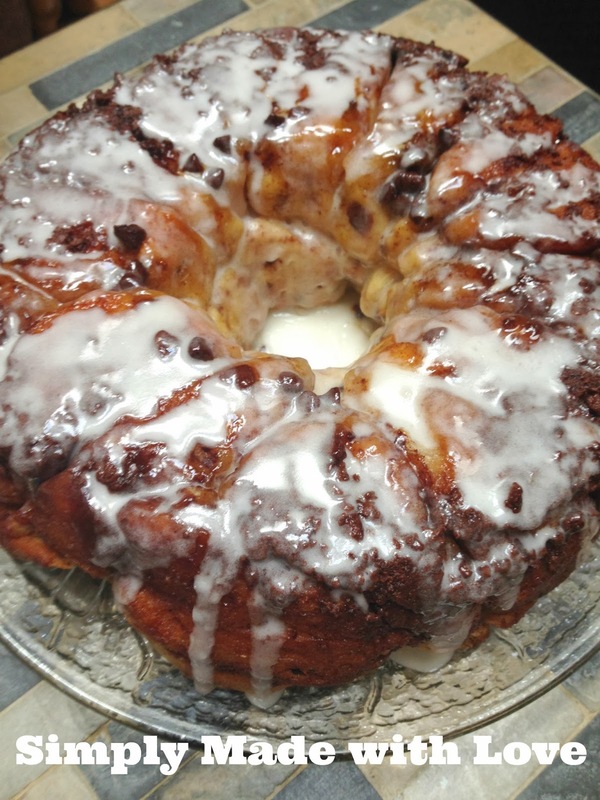 Who doesn't like something sweet along with their bacon and eggs?!? I used a bunt cake pan to make this ring. I used Pam instead of butter. I honestly felt the recipe would be just as good with half the butter. I also didn't use all of the pudding mix. Those are the only suggested changes I would recommend. It was easy to make. 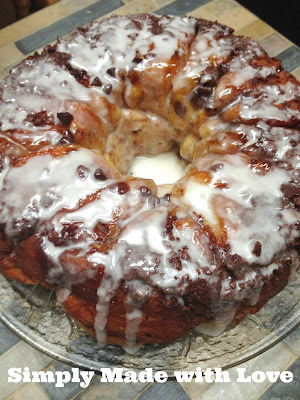 My icing was running because I didn't wait long enough for the cake to cool, but it was really good warm. The entire family gave this recipe two thumbs up. They even suggested I make it again next year. This would also be a great recipe for a brunch or coffee date. Enjoy! 1. Heat oven to 375°F. Using 1 tablespoon of the butter, generously butter 12-cup fluted tube cake pan. In small microwavable bowl, microwave remaining butter on High 1 min or until melted when stirred. 2. Separate both cans of dough into 16 rolls. Cut each roll in half crosswise; place half of roll pieces in pan. Sprinkle with half of the dry pudding mix and half of the brown sugar. Drizzle with half of the melted butter. Repeat with remaining roll pieces, pudding mix, brown sugar and melted butter. Sprinkle with chocolate chips. 3. Bake 24 to 28 minutes or until rolls are deep golden brown and dough appears done when slightly pulled apart. Cool in pan 2 minutes. Place heatproof serving platter upside down over pan; turn platter and pan over. Remove pan. Cool 15 minutes. 4. Remove lid from icing. Microwave icing on High 10 to 15 seconds or until of drizzling consistency. Drizzle icing over ring. Cut into wedges to serve. 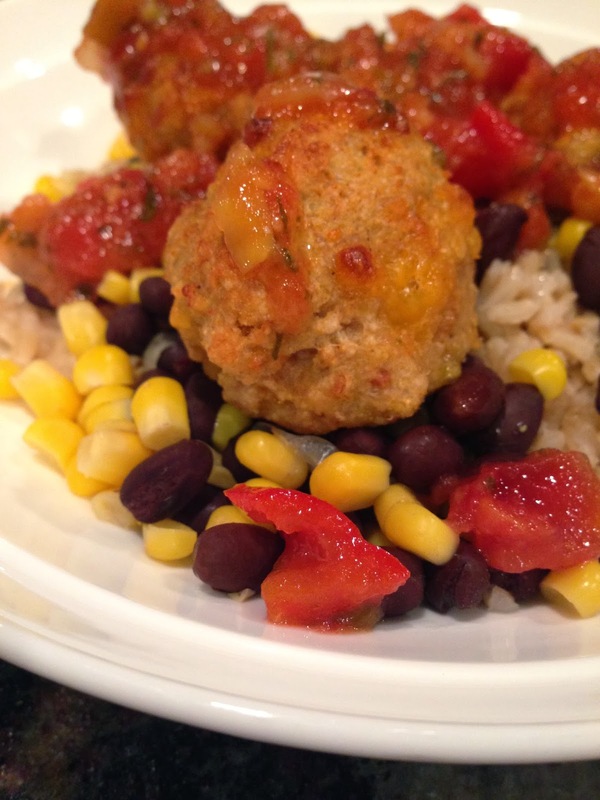 Looking for a twist on traditional meatballs?!? If so, you've come to the right place. Everyone in our house is a fan of Mexican food, even the little one. I make it once a week. Often I find myself looking for recipes beyond the easy tacos. These meatballs took no time to make. I served them over brown rice, corn and black beans. I topped them off with fresh mango salsa (from the grocery store). Enjoy! In a medium bowl, combine ground turkey, garlic, breadcrumbs, cheese, taco seasoning, eggs and milk. Roll into 1 1/2 inch balls and placed on a lightly greased baking pan (I usually use a broiling pan). Roast in the oven about 20 minutes or until brown. 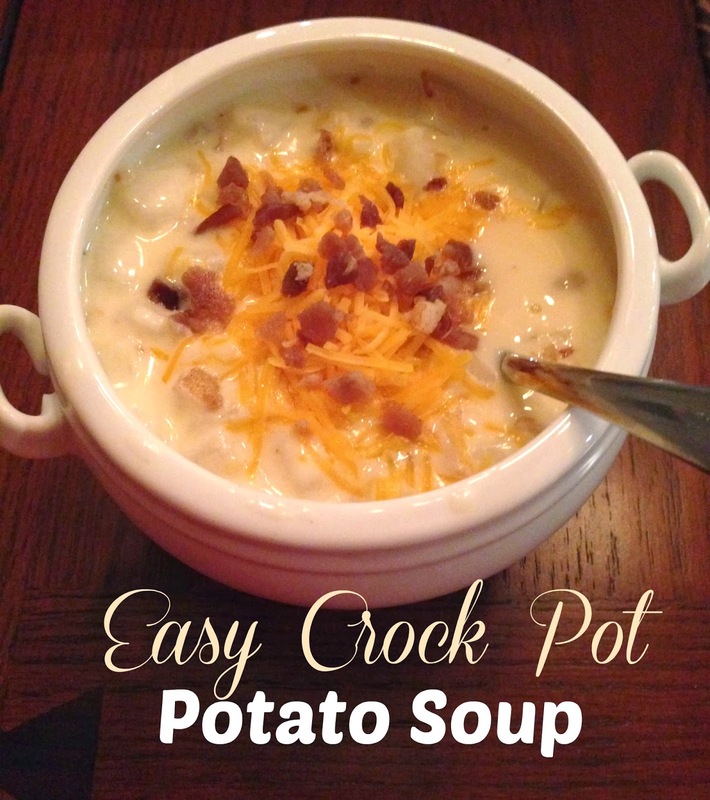 If you're anything like me you use your crockpot at least once a week during the winter. Heck maybe in the summer as well. Anyhow, mine doesn't leave my counter during the winter months. Most weeks I use it twice. 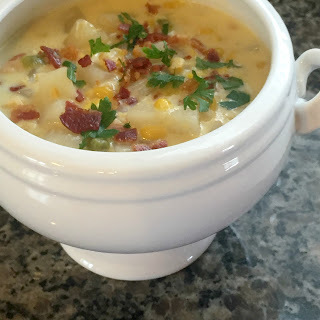 This past week I made potato soup. Perfect for a cold winter night. Put the hash browns in the crockpot. Add in the chicken broth, cream of chicken soup and half of the bacon bits. Add a pinch of salt and pepper. If you want the printable recipe, go HERE. If you're looking for another delicious recipe, check out one of my newest, corn chowder! Check out my Pinterest board for more of my favorite recipes! Follow Leah's board Simply Made with Love on Pinterest. When looking for Christmas cookie recipes this year, I went through all of the recipes I made over the past years. Some have been a huge hit and others, not so much. I decided to make a list of all of my favorites to share with you all today. The best part about these cookies is they are simple and easy. The only one I would say is more difficult is #5 the White Chocolate Cherry Shortbread. The reason I included that one is because they are worth the extra time they take to make. 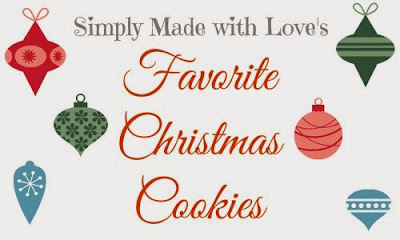 They won best cookie at my cookie exchange two years ago and are a huge hit on Pinterest! They're all over my kitchen. Many have been boxed and given to friends. But many are still hanging around. Which means, hubs and I are eating them. These are probably one of my new favorites. If you love cinnamon (like me), you'll enjoy these. Part of me wanted to add chocolate chips to the recipe, but I'm glad I didn't. They were perfect (and EASY) just the way they are! 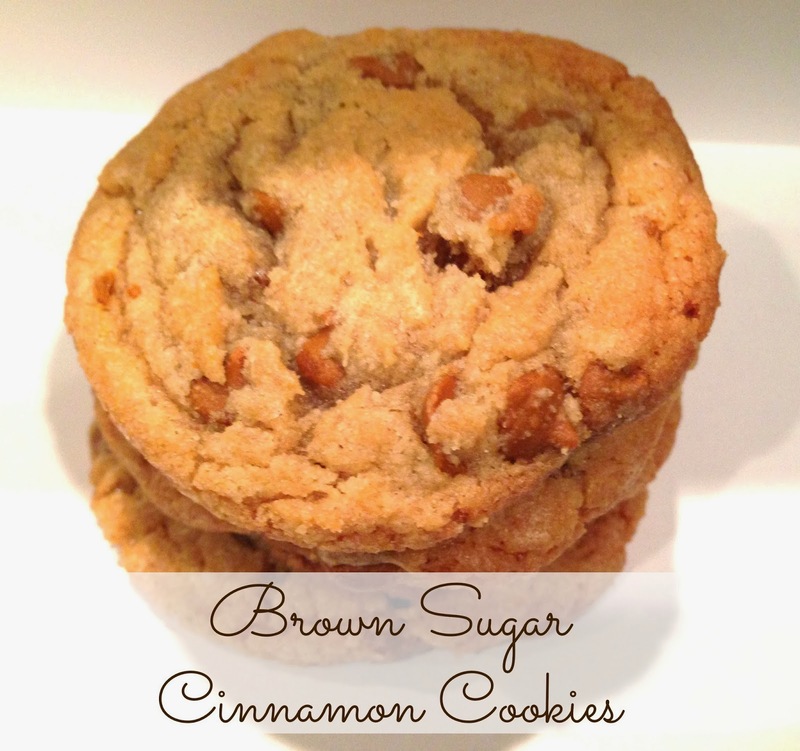 If you're looking for a recipe to bring to a cookie exchange, these would be a hit! 1. Preheat oven to 375. In a bowl of a mixer, combine butter and sugar and beat until creamy. Add the egg and mix well. Place the four, baking soda, salt and cinnamon in a separate bowl. Carefully add flour mixture to butter mixture-scraping bowl as necessary. Continue to mix until well blended. Stir in cinnamon chips. 2. Drop dough by tablespoons onto cookie sheets. Bake just until edges are set, about 8-10 minutes. Let cookies cool for 1 minute on baking sheets before removing to a cooling wrack. Christmas is almost here, which means Christmas baking is in full swing around here. I'm off to a bit of a late start this year due to a nice long week of sickness in our house. Thankfully everyone is on the mend, lets hope it stays that way for the rest of the month! Each year I try to make a bunch of different Christmas cookies. I give them to neighbors, friends and send them to work with hubs. This year I searched through my Pinterest board for different recipes. 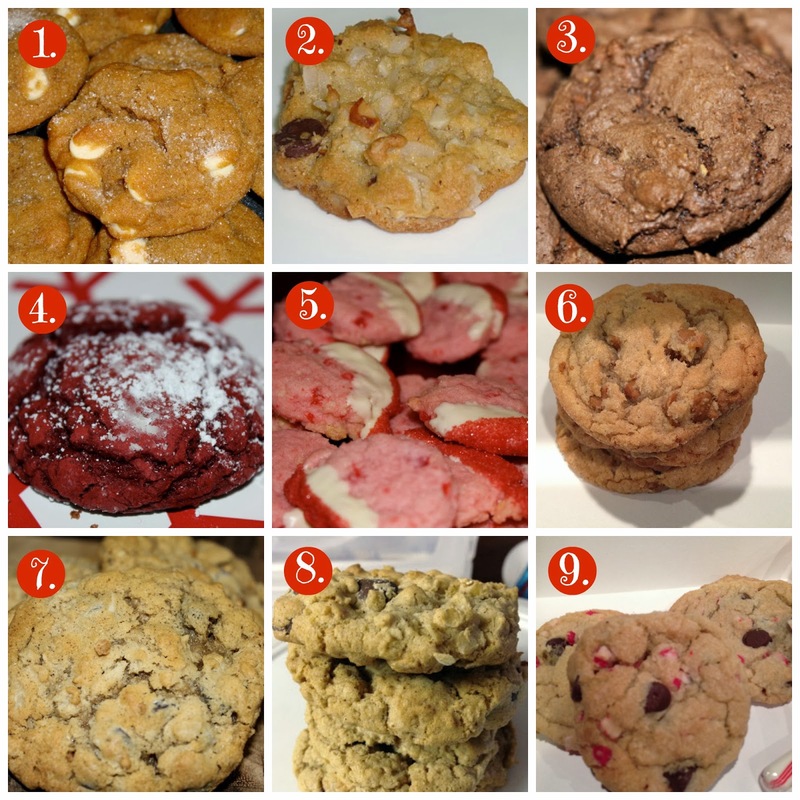 I came up with a list of 10 new cookies I want to make. First up were these peppermint chocolate chip cookies. 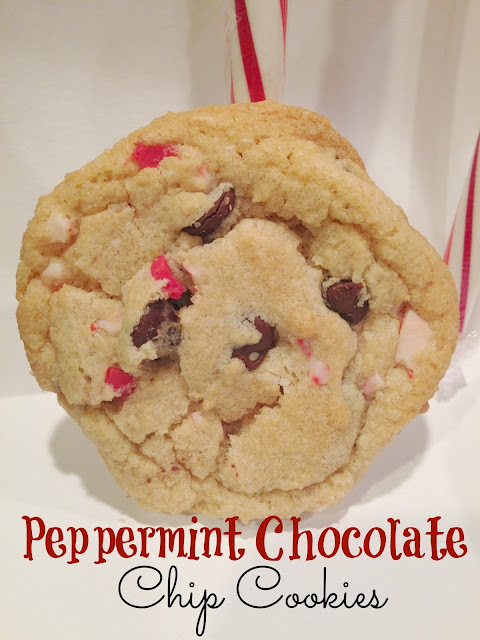 I love peppermint with chocolate, especially over the holidays. These cookies were the perfect mix of the two. They weren't too pepperminty, nor did they have too much chocolate. Hubs isn't even a peppermint fan and he enjoyed them. They would pair well with a nice hot peppermint mocha from Starbucks! Enjoy! 1. Cream butter, oil and sugars in your mixer. 2. Add eggs and beat until fluffy. Add almond and vanilla extract, mix again. 3. Add flour, baking powder, baking soda, salt to a separate bowl and mix well. Add to wet ingredients and mix well. 4. Add chocolate chips and peppermint crunch pieces. Mix well. 5. Bake at 350 for 8-10 minutes.